UPDATE 1/12/19 - As part of our expansion to New York, this week and in partnership with Housatonic Bloodstock, we have purchased a lifetime breeding rights to New York-based sire Redesdale. Life time breeding rights will give us 3 breedings per year for the next 3 years for this great young stallion and then one breeding every year after that. 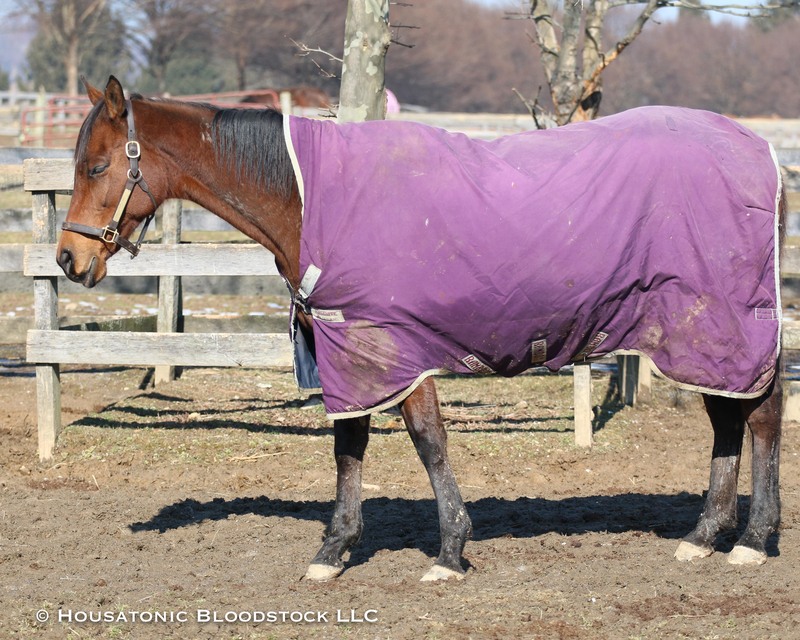 Magical Point will stay at Greenmount Farm in Maryland until she foals her Great Notion foal, and then 10 days after that the pair of them will head up to NY. We will breed her back to Redesdale this spring. This 10 YO mare is from champion sire, Point Given. 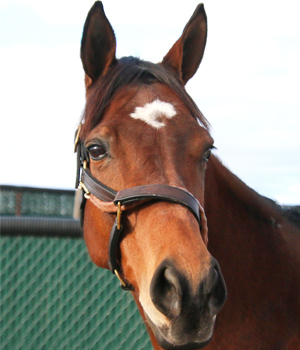 Her dam in (Magical Broad) was a successful race horse earning over $150,000 in purse money. She has 4 foals of racing age, 3 to run, 2 winners. Currently in foal to Great Notion with April 3rd cover (due in March 2019). Great Notion has a published sire fee of $5,000. This cross has an “A++” True Nicks. As a 10 YO, Wasabi Ventures Stables plan is to get 3-5 more successful foals out of her before her retirement from breeding. Placed three times during her own racing career, at the time of her purchase Magical Point had produced four foals of racing age, three of which had started and two of which were winners. She also had an unraced 2-year-old filly by Violence, a yearling filly by Stay Thirsty, and a filly foal by Golden Lad in the pipeline. 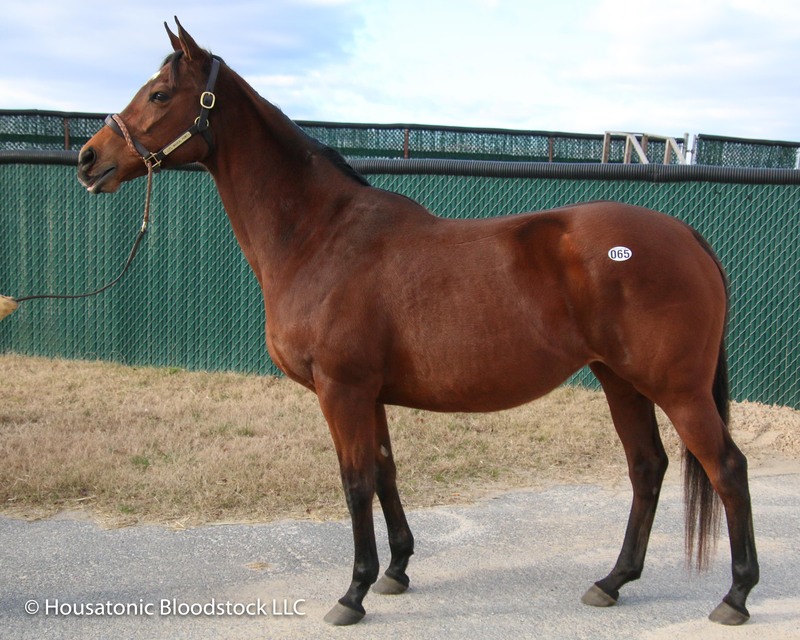 Magical Point was pregnant off of an April 3rd cover to Maryland’s best stallion, Great Notion. Magical Point is a half-sister to the stakes winner Candida H., both of them out of the stakes-winning Broad Brush mare Magical Broad. Magical Broad, in turn, is a daughter of Grade 3 winner Illeria, making her a full-sister to Grade 1 winner and sire Include, Grade 3 winner and producer Magic Broad, and multiple stakes winner Encaustic. This is also the female family of 2017 Maryland Million Classic winner Bonus Points.